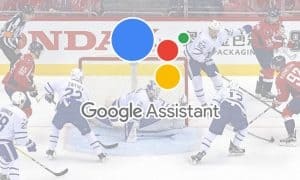 Fans of voice control rejoice! Amazon has announced that there will be two new devices added to their growing Alexa powered stable: Amazon Tap, and Amazon Echo Dot. Amazon’s first foray into a standalone voice controlled personal assistant has honestly gone quite well. The original Amazon Echo has been selling like crazy and people seem to love it. Amazon has even trotted out a series of commercials staring Alec Baldwin and Jason Schwartzman to promote Alexa and some of the voice commands that are available. In the very near future, Amazon’s Alexa family will be expanding. Amazon Tap is a portable Bluetooth and Wi-Fi enabled speaker that gives you rich, full-range sound. Dual stereo speakers with Dolby processing offer crisp vocals and extended bass response. And unlike other Bluetooth speakers that only face forward, Amazon Tap has duel stereo speakers that provide immersive, 360° omni-directional audio. When connected to Wi-Fi or a mobile hotspot, just tap the microphone button and ask for music, hear news, search for information, order a pizza, and more with the Alexa Voice Service. Amazon Tap ($129.99) starts shipping later this month. Amazon Tap’s compact size makes it easy to move around. And at just over a pound, it’s perfectly portable. A single battery charge provides up to 9 hours of continuous playback to keep you entertained—wherever you are. The included Charging Cradle makes recharging effortless, even while listening. You can pre-order the Amazon Tap here for $129.99, with orders shipping starting on March 31st. The Amazon Echo is great, but it’s really a pretty stationary device. It’s meant to sit in one room and not really move much. But what if you want to be able to take advantage of Alexa’s voice commands in other rooms? Enter the Amazon Echo Dot. 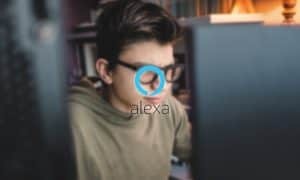 The Dot is meant to connect to your existing speakers, giving you the ability to add voice commands to your stereo, or nearly any other speaker in your house. Alexa—the brain behind Echo Dot—is built in the cloud, so it is always getting smarter. The more you use Dot, the more it adapts to your speech patterns, vocabulary, and personal preferences. And because Echo Dot is always connected, updates are delivered automatically. Third-party skills from developers add even more capabilities like ordering a pizza from Domino’s, requesting a ride from Uber, opening your garage with Garageio, and more. Enabling skills lets your Echo Dot do even more—simply discover and enable the skills you want to use in the Alexa App. 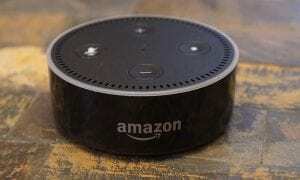 What do you think about these new Alexa-powered Amazon products? Are you going to pre-order an Amazon Tap? Are you already firing up your Amazon Echo or Amazon Fire TV to shop for an Amazon Echo Dot or two? Tell us what you think in the comments below or on Facebook, Google+, or Twitter.